But if it tastes good......Why not. Sounds a little odd to me but if u like it thats cool. I like the cherry and vanilla together. Here in the uk you can only get the weird mixes if you go to amwrican food resturants like 5 guys or slim chickens. Plus I don't drink anything carbonated or caffeine or anything with High Fructose Corn Syrup in it. And I'm pretty sure that innocent looking bottle has all of the above.....so I guess its a no for me! Oh weird factoid I learned over the weekend...in Australia, Lemonade is Sprite!!! They don't have like real lemonade, with Water, Lemons and Sugar. I don't drink colas too much anymore. I bought the Orange Vanilla Coke on a whim. It's actually not too sweet. A slight taste of orange and vanilla. I first bought one bottle the other day, then 4 bottles today. I had them all. I am kinda done with cola for a while. I don't want diabetes. lol. Normally I just drink bottled water, tea (with some sugar in it) and black coffee. I also drink beer (on a limited basis). Just three beers at a setting. Oh, I found this out from a friend. There is such thing as Mexican Coke. It's made with real sugar instead of the high fructose corn syrup... kinda interesting. Yea that is interesting about Sprite being Australian lemonaid. You drank 5, 2 liter bottles of soda???? OMG dude are you trying for a sugar coma?? Yeah the Coke in the glass bottle with the green label is made with cane sugar, but I don't drink soda of any sort. I don't drink Alcohol, as I'm allergic to it. Had about 3 drinks of a Wine Cooler at a party when I was 16 my first year in University and had my first Heart Attack....so yeah no Alcohol. I drink real juice Cranberry Juice, Decaf Ice Tea with sugar, I'm a Southerner, lol and Bottled Water with Lemon Slices in it. Oh and G2 Gatorade when I'm working out at the gym. Decaf Earl Grey tea in the morning. I'm not one of those people who always has to have something to drink in my hand, I pour a drink, drink it, then go about my business. My oldest son always has a glass of tea or bottle of water or Dr. Pepper in his hand 24/7 and it drives me batty! I've never heard of it either but I used to love Creamcicles ….. Enjoy!! I binged on it the other day. It's good, but all chemicals. Interesting fact, we use coke to clean the battery posts in the car engine off when they get corroded with acid.....it works like a charm. Heh...yea I was feeling pretty putrid yesterday....I blame the 4 cokes I drank. I won't be doing that again. I'm not much for pop, but once in a while I'll have a fanta orange or a root beer. In Africa, the cream soda is green, and the debate isn't between pop and soda, it's between cool drink and fizzy drink. I grew up drinking pop, but now I only have one on occasion and it’s enjoyable. 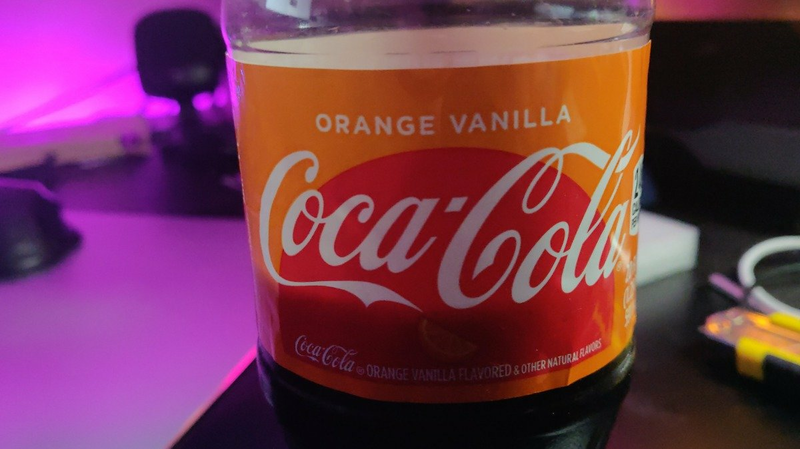 I have tried Vanilla Coke but never vanilla/orange. Yeah, une limonade in France isn’t lemonade but like a lime soda. I wish we had cafe culture here, and not starbux. Umm...what makes the cream soda Green???? Here in the States actual Cream Soda is a light tan color. But Cream Soda is totally different than this stuff Chris is talking about..
With parents who weren't parents, soda was the liquid in our house growing up, nothing healthy, just junk. I'd drink Dr. Pepper 24/7, until I was 13 and passed out in the Courtyard at school. I aspirated about a gallon of blood from the hole all the "soda" had eaten in my stomach wall. 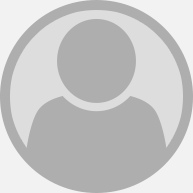 Spent 2 weeks in the ICU with tubes down my nose and a week after on the med-surg floor learning about all the liquids and foods I could no longer eat. No biggey, I was never much of a food person....but I never had another drop of soda....quit cold turkey. A teacher at school who was very caring, helpful to me and just an amazing human being, bought me decaf tea bags, and the juice that was on my list, so I'd have stuff to take home and drink. Yea colas are a big no-no. I just binged because I became fixated on the orange vanilla idea. I slept like crap last night.